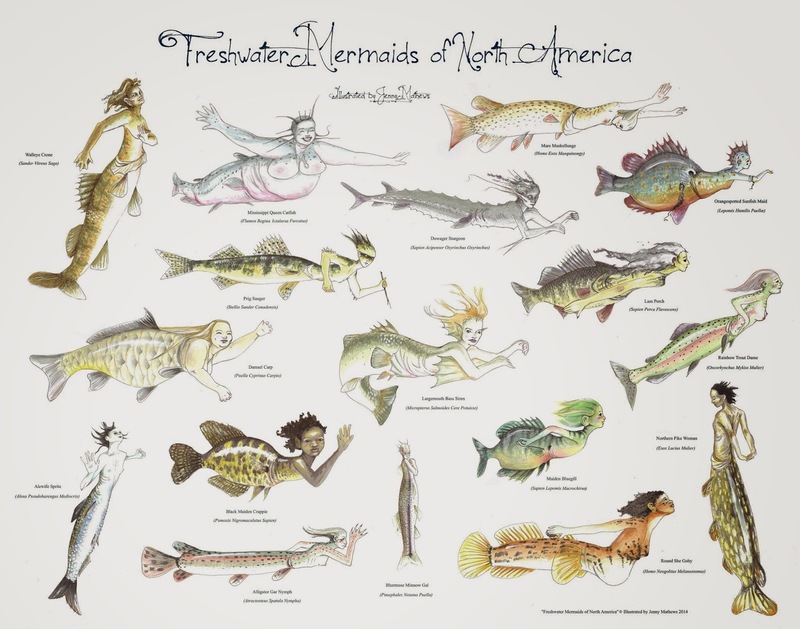 Lake of the Woods is known as the Walleye Capitol of the World, but the fact of the matter is, Lake of the Woods has an extremely wide diversity of species covering all the different nooks and crannies of 997,000 acres of water. 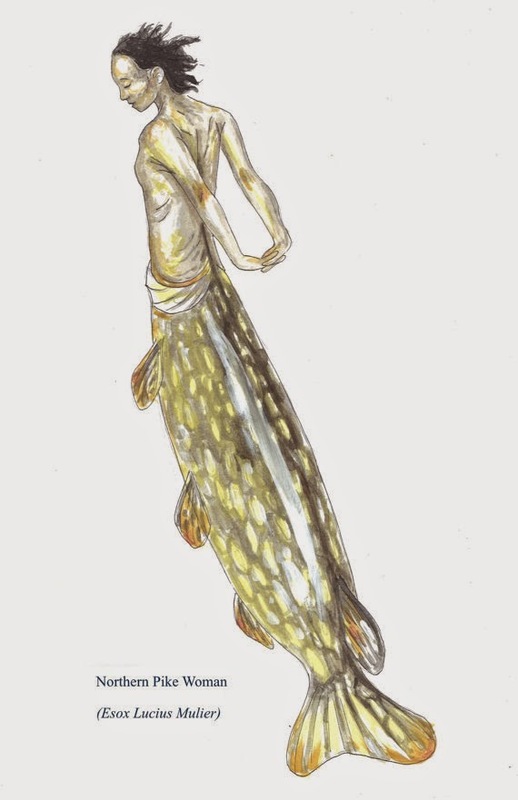 This is the Northern Pike Mermaid that is the protector of Lake of the Woods. This voracious predator is one of the easiest fish to catch because it so willingly bites lures or bait. What's more, Northerns produce chunky white fillets that many anglers say taste as good as walleyes. Most Northerns caught by fishing run 2 to 3 pounds, though trophies over 20 pounds are caught each year. A close cousin to the muskellunge, the northern pike lives in nearly all of Minnesota's lakes and streams. The quickest way to tell a northern pike from a muskie is to note that the northern has light markings on a dark body background, while muskies generally have dark markings on a light background. A foolproof method is to count the pores on the underside of the jaw: the northern has five or fewer; the muskie has six or more. Northerns also have rounded tail fins, compared to the pointy tail fins of a muskie. May is definitely the best month to target pike in the northern United States and southern Canada. Recuperated from spawning, they prowl the shallows for panfish and baitfish. With little yet in the way of weed growth, the northerns don't have all that many ambushing spots. They haven't seen a lure in six months. In short, spring pike fishing is as good as it gets.